Incredibly, there are genuine, real ways to make money online without getting scammed. All you need is a smartphone, some (lots) free time and a relaxed attitude to constantly being bombarded by adverts. These apps might not swell your bank account, but they might buy you a beer or two. Which, if you're honest with yourself, is the only reason you go to work. Right? The all-in-one messaging app lets you call for free, earn credit and redeem for recharge mobile anywhere in the world. It's simple to earn free credit in Vodi app. Simply send text, make a call to get rewards. Use Promo code "FHM" to earn 50 Bonus credits. A great way to earn with this app is to leave it open when you’re charging your phone or when you’re sleeping. Instead of earning directly with cash, you earn in BitCoin or Satoshi (a smaller unit of BitCoin). Google’s Opinion Rewards app sends you quick surveys to your smartphone. You’ll get paid with Google Play credits, which you can redeem for anything in the Google Play store. This is the app we use most, but it’s pretty difficult to sign up to, unfortunately. You need to be invited to download the app which is available on Android and iOS. We got accepted by searching “Roamler invite” on Twitter and asking someone for an invite, so it's not impossible. There are almost always tasks available and they tend to pay out between £2-£6 each. Tasks we’ve completed in the past have included taking photos of plant pots in a garden center and reporting which teas are on sale in the supermarket. Where you could once leave the app running 24/7 for a complete passive income, now you’re required to press a button every 1 – 2 hours to show that you’re actually watching videos. Viggle is one of the most popular streaming apps that lets you earn points for watching TV. Check into your favorite shows, and earn more points the longer you watch. You can trade in your points for one of over 800 gift cards. Or, opt for cash by transferring your earnings to Perk Plastik. Smart Panel gives you bonuses along the way for keeping the app installed. For example, leave it installed for 1 year to earn a total of $110, but leave it installed for 2 years for a total of $230. Go to Smart Panel website. One of the busier tasking apps out there – both in terms of jobs available and a number of registered users. This also means the jobs are quite varied, too. So if you get bored easily, this one's probably a good shout! Swagbucks Watch is an app that lets you earn Swagbucks for watching videos, just like you would on the website. Link your account and watch your SB pile up, which you can then redeem for PayPal cash and other gift cards. When you become a member of SavvyConnect, you’ll be given exclusive access to the higher-paying surveys on the SurveySavvy website. Simply complete your profile to get these surveys sent to your inbox. Tasks are a lot less frequent on Streetbees but tend to be a fair bit higher paid – we’ve seen a lot of tasks available with a £10+ payout! Therefore, even if just one job pops up a month, that could be the equivalent of one job per week on some of the other apps. The Media Insiders app is supported on iOS, Android and Kindle Fire HD devices. They collect data by tracking which ads you watch, your social media activity as well as what web pages you visit. The app can be installed on a maximum of 3 devices, with each device earning $2 per month. In total, you can earn $6 per month or $72 per year. You can increase your earnings a bit further with the use of the VPN. However, as mentioned above, other rewards apps on your phone might not permit the use of a VPN. Upload your best photos to the Clashot app, and clients using the app can buy them! You’ll earn commission on every photo sold. Stockimo is a mobile stock photo app, which lets you sell your favorite photos easily to those in search of beautiful stock photos. TaskRabbit merely serves as a tool to help you find work in your area. Help others complete tasks such as delivering groceries, building furniture from IKEA, waiting in line and more. Keep in mind that all those who wish to work as task workers must complete a background check. The amount you earn per task depends on how much the person who’s looking for help is willing to pay. TaskRabbit is available in 19 major cities across the US. Bing Search is another money making app that pays you to surf the web. Each time you surf the web, you have a chance of earning points that can be exchanged for gift cards. You can also earn cash on your desktop by installing their browser toolbar. We estimate that you can earn about $20 – $25 a month. While it’s not much, surfing the web is something you’d probably be doing anyhow. You can cash out once your account reaches 525 points for a $5 gift card. Refer your friends to earn points more quickly. All-in-one messaging app to text, call translate, send eGifts and more. Vodi is a mobile messaging app that lets you text, call, translate, send eGifts, and more—all from one place. Over 68% of American adults have a smartphone in their pocket and more and more smartphone users are turning to free messaging apps as their main form of communication. Vodi makes it easier for smartphone users to save time, money and data on their phone–no matter where you are. Vodi is so easy to use that we already have a million downloads from 160 different countries worldwide. 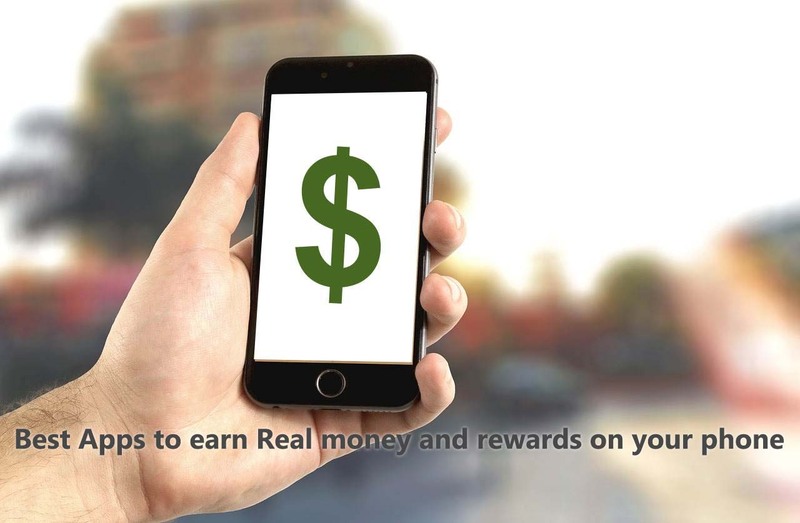 Read texts from advertisers through the FreeEats app, and earn 25 cents or more for each text. You also get $1 when you join. NiceTalk is a money making app that pays you to teach English. This app was was originally created in order to help Chinese students learn English. The only requirement to join is to be a fluent English speaker. Expect to earn $10 for every hour that you teach. What I really love about this app is that they pay you by the minute. This means that if you only want to do a short 15-minute lesson, you’re still going to get paid 15 minutes. Use promo code RU3N2Ra to get the $10 bonus upon registration.